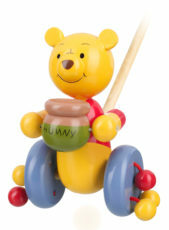 A traditional wooden push up, beautifully detailed with Winnie the Pooh’s distinctive red shirt. This friendly, thoughtful and steadfast bear is fiercely loyal to his friends and is always willing to lend a helping hand. Simply press the base and watch Pooh dance! 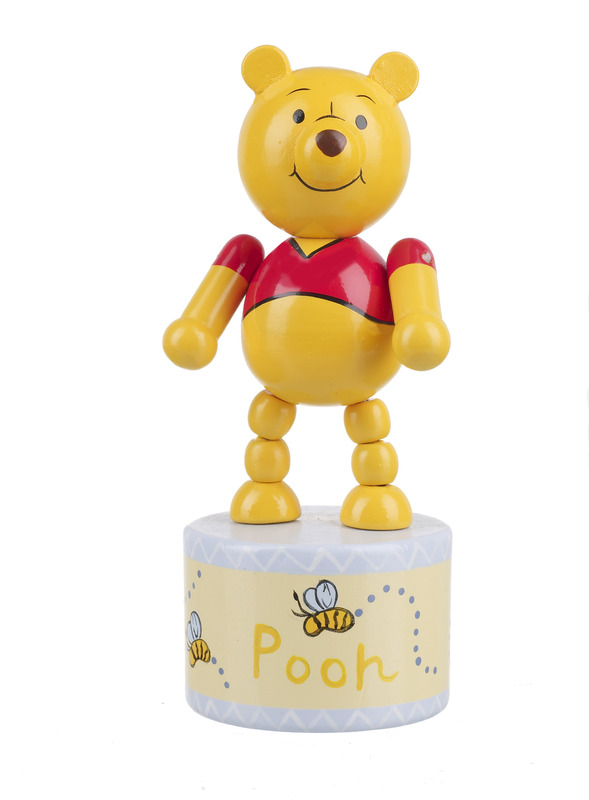 Children familiar with the timeless stories by A.A. Milne will adore this beautifully crafted Winnie the Pooh Push Up from Orange Tree Toys.